Professionally trained, licensed and experienced auto mechanics you can trust. 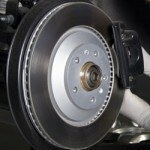 You rely on your brake system to give you maximum reliability, safety and stopping power. For such a crucial safety system like your brake system, you shouldn’t rely on just anyone to repair or service your brakes. The auto mechanics at Sil’s Auto Centre are experienced and professionally licensed. We use only high quality parts that meet or exceed OEM (original equipment manufacturer) standards. Our modern auto repair facilities are equipped with the latest technology and equipment. What does this all mean to you? It means that you can rely on Sil’s Auto Centre to provide you with superior brake service and repair that you can trust. If you are experiencing any brake problems, bring your car in for inspection and diagnosis at Sil’s Auto Centre. Call Sil's Auto Centre to schedule an appointment today.